The ultimate in emergency keyring storage. 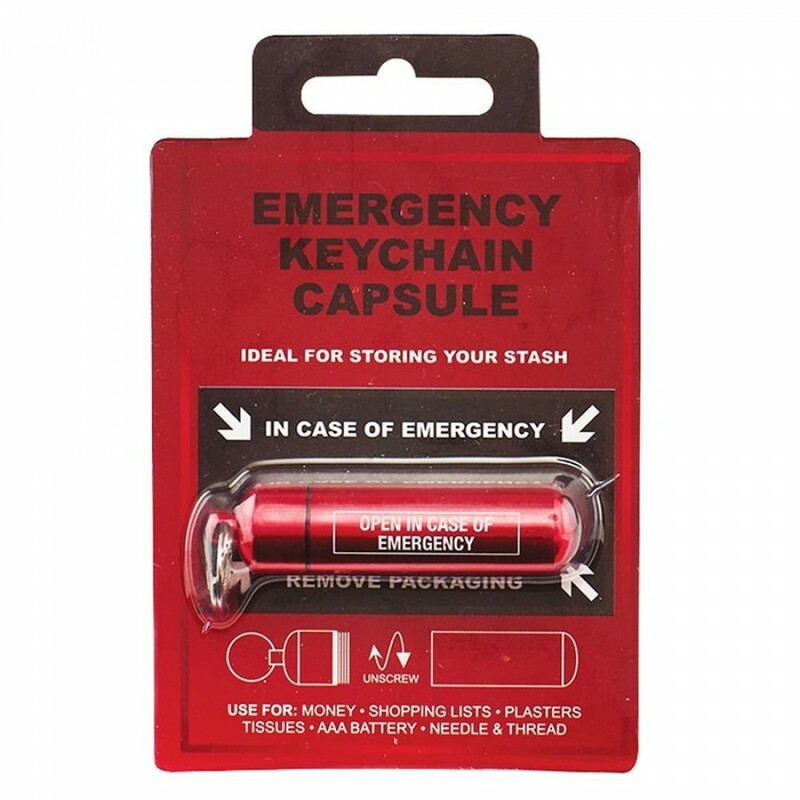 Stash cash, medicine or any other emergency supplies. 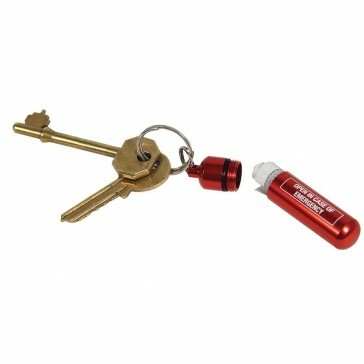 Made from a solid piece of aluminium, it has a screw opening at one end with a seal to ensure that the contents always stay dry.